“I got it from my mumma”: hot men who take after their mummas. All your man-babe crushes? We have a lot to thank their mummas for. Leo’s feline eyes? His mumma. Bradley Cooper in jeans. His mumma’s genes? There are a lot of men you’d love to bring home to mumma, myself included. But these beautiful specimens didn’t just come out of thin air. Their mummas are the brains (and blue-eyes) behind your (read: imaginary) husbands-to-be. Next up, Brad’s mumma Gloria Campano. 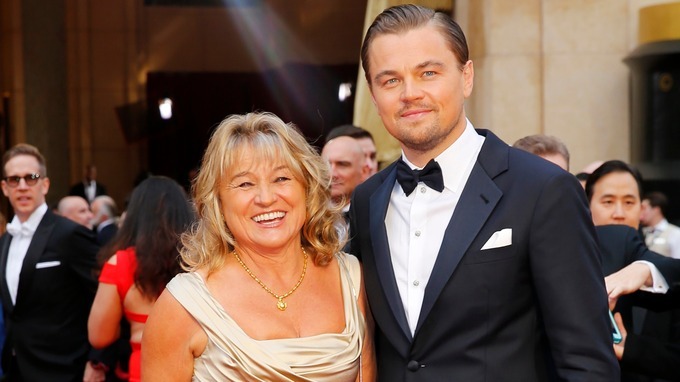 Both were spotted backstage at the Golden Globes with their sons in tow. Brad’s described her as one “cool chick” and they’ve even been roomies. Brad wants nothing more than his ladies to get along with his mumma. Want in? Have a scrub sesh, of course. Show her you’re not afraid of a little tough love. I know babe, hugs are the way to your heart. And Prince Harry has oodles of them. Thanks to his mumma Princess Diana, Harry spends his time dishing out hugs instead of handshakes. “Being in the Prince role you’ve got to shake hands, I would choose hugging over shaking most of the time.” I think he’d like my smooth side, don’t you? I know what you’re thinking: the trifecta (…and thank you Mrs Hemsworth). Three boys (Luke, Liam & Chris), all actors and – #letsbefrank – all easy on the eyes. Leonie is an English teacher so we can thank her for their onscreen vocals… and giving them a way with words. I bet my babe Miley can vouch for that. So there you have it. We have a lot to thank their mummas for. Without them there would be no poster boy or “Dream Man” list with extensive requirements. And #letsbefrank no babe should settle for second best. Amen.